A massive salmonella outbreak has affected 22 states, killed three people, and made hundreds of customers sick. Currently, there are two voluntary recalls being implemented over what appears to be tainted vegetables from Baja California. Here's how to tell if your cucumbers were recalled and whether you should return them or throw them out immediately. The first voluntary recall, issued Sept. 4, was for Andrew and Williamson Fresh Produce, a San Diego-based company whose limited edition line of dark green cucumbers were tested positively for salmonella in 27 states. The states affected are as follows: Alaska, Arkansas, Arizona, California, Colorado, Florida, Idaho, Illinois, Kansas, Kentucky, Louisiana, Mississippi, Minnesota, Montana, New Jersey, New Mexico, Nevada, Oklahoma, Oregon, South Carolina, Texas, and Utah. The suspect cucumbers are labeled as "Limited Edition Pole Grown Cucumbers" with the dates Aug. 1 through Sept. 3. on their packaging. They come in black, yellow, and green cartons when shipped but are typically are sold in stores loose and with no packaging. 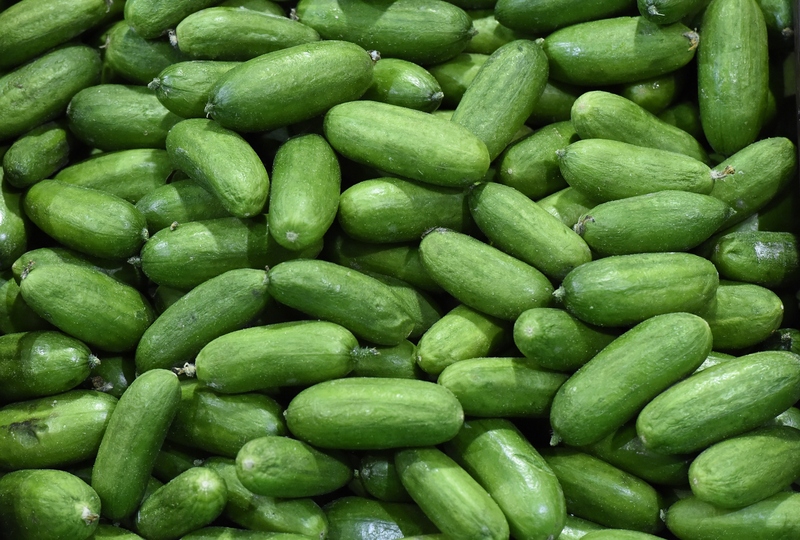 Affected cucumbers have also been served in salads, as the company caters to regular consumers as well as wholesalers and the food service industry. Cucumbers typically range from 7 to 10 inches in length and between 1.75 and 2.5 inches in diameter. The outbreak is currently under investigation. Those seeking more information can contact Andrew and Williamson Fresh Produce by phone at (844) 483-3864 or by visiting their website. The second voluntary cucumber recall was issued on Sept. 11 and concerns Custom Produce Sales' Fat Boy line of cucumbers that were labeled from Aug. 1 on. The produce has the exact same color and measurements as the Andrew and Williamson cucumbers as well as the same colored carton packaging issued when shipped. However, Fat Boy cucumbers shipped strictly in black plastic containers to the state of Nevada were also affected. According to the FDA, in addition to Nevada, the states currently affected by this salmonella outbreak include California, Colorado, Illinois, Iowa, North Dakota, Oklahoma, and Texas. Lot codes that were potentially affected by the salmonella outbreak are as follows: 93968, 94506, 94550, 94522, 94513, and 93991. The cartons affected include Fat Boy's Cucumber Carton 24’s, Cucumber Carton Super Select, Cucumber Carton 6 count, and Cucumber Carton 5. Regarding the Nevada cucumbers affected, the lot code to watch out for is (01) 1 0851821 22000 2 (10) 99 and the item number is 552678329. Affected customers are encouraged to either dispose of their cucumbers or return them to the store they purchased them at. Those currently seeking information on the Fat Boy recall can contact Custom Produce Sales by phone at (559) 254-5860 or by visiting their website. As with the Andrew and Williamson outbreak, the Fat Boy salmonella outbreak is currently under investigation.